The main objective of the City.Risks project is to implement services to increase the sense of security and wellbeing of citizen and communities in large cities. Through the participation of the people in a trusted network, local information is shared and allows to prevent or mitigate the impact of crime incidents or other security threats in a collaboratively way. The project will rely on a wide spectrum of available technologies to design and implement an interactive framework among authorities and citizens through mobile applications that will provide citizens to help each other but also authorities to react and respond. 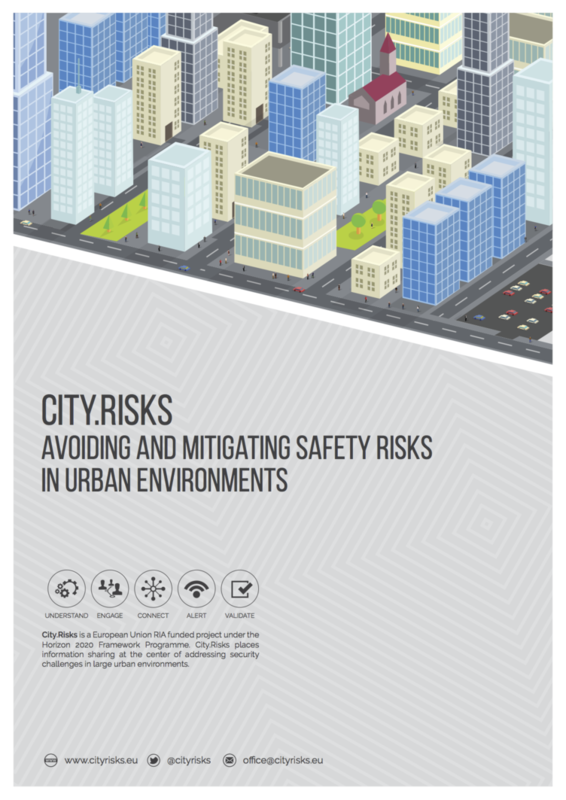 In the City.Risks project Fraunhofer FOKUS is responsible for the risks management, alerting and response engine to provide real-time response to events like location-based warnings for the citizens or a detailed situation overview for the operation center. Furthermore, FOKUS is working on a smartphone application that will provide the citizen with a tool to collect, visualise and share safety-critical information with the appropriate authorities and communities.